A beefsteak cut from the boneless top blade roast in the top blade section of the chuck primal. 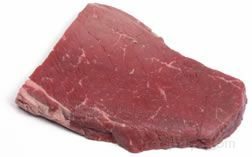 The top blade steak is basically a smaller cut from the top blade roast and is also known as the "Flatiron" steak. The name, Flatiron steak, comes from its apperance after the top blade roast is cut horizontally into two pieces, resulting in shapes that resemble an old flat iron. 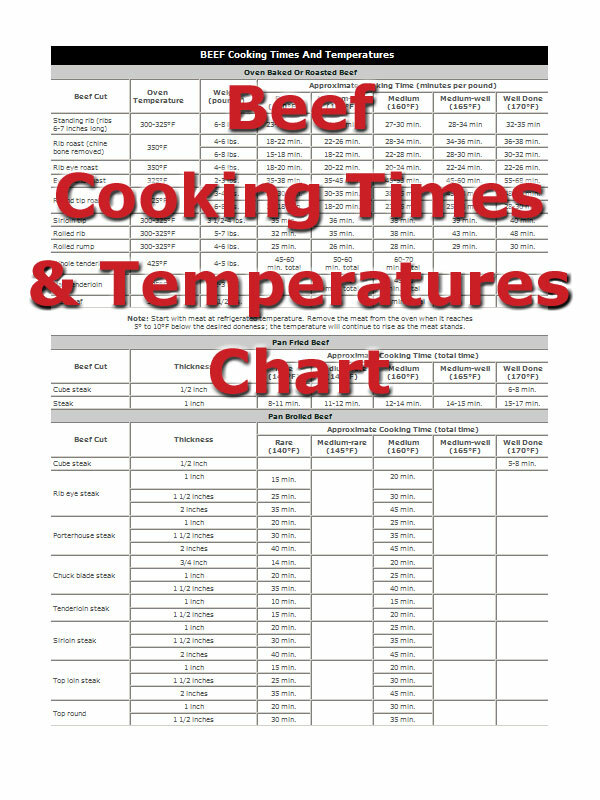 A top blade steak is best prepared by braising the meat, which provides a very tender piece of meat. 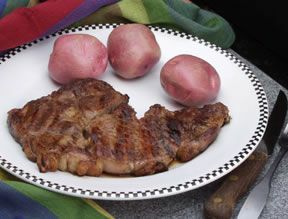 It is also excellent when it is grilled or broiled, especially if the meat is marinated first. 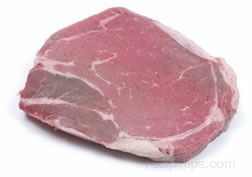 If this cut is to be used in stews, realize that a piece of gristle runs the length of the steak, which is difficult to remove with several cuts. Therefore, it may be easier to cut the steak into 1 inch strips, cutting across the gristle. Then slice the gristle out of the strip as the cubes of meat are cut into stew sized pieces. Other names for the flatiron steak are: petite steak, butler steak, lifter steak, book steak, shoulder top blade roast, top boneless chuck, chuck clod, lifter roast, and triangle roast.